Somewhat related to a claim of copyright infringement (and often preempted by such a claim – more on that later), is the claim for Right of Publicity. While sometimes available to any individual, Right of Publicity is typically aimed at protecting the name or likeness of famous individuals. A claim for violation of Right of Publicity can be either statutory or common law and varies state by state. Some states only recognize a Right of Publicity for living individuals, while others, such as Texas, permit post-mortem Right of Publicity. Other states recognized a similar claim called misappropriation, while still others use misappropriation interchangeably with Right of Publicity. With all these moving parts, what exactly does a Right of Publicity claim involve? 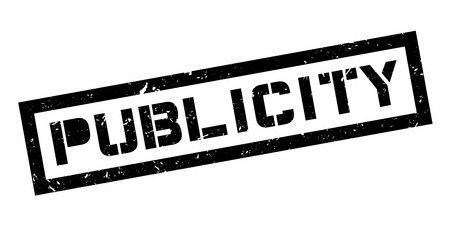 Generally, Right of Publicity requires three elements: (1) Use of an individual’s name or likeness; (2) for commercial purposes; (3) without Plaintiff’s consent. The commercial requirement typically restricts the Right of Publicity claims since their name or likeness is more likely to be used in commerce. California has particularly robust case law on Right of Publicity due to the abundance of celebrities residing within that state, so that jurisdiction is the focus of this blog post. There have been instances in which a Right of Publicity claim has been preempted by Plaintiff’s copyright infringement claim. The Ninth Circuit recently found that a Plaintiff actor’s claim that his Right of Publicity had been violated was preempted by the Copyright Act because the “factual basis of his right of publicity claim was the unauthorized reproduction of his performance on the DVDs.” Jules Jordan Video, Inc. v. 144942 Canada Inc., 617 F.3d 1146, 1154 (9th Cir. 2010). Therefore, the “essence” of Plaintiff’s claim was the reproduction and distribution of DVDs without authorization, which fell under Copyright protection. Explaining the rationale behind this, the Ninth Circuit stated that: “Were we to conclude that [Plaintiff’s] misappropriation claim was not preempted by the Copyright Act, then virtually every use of a copyright would infringe upon the original performer’s right of publicity.” Laws v. Sony Music Entm’t, Inc., 448 F.3d 1134, 1145 (9th Cir. 2006). And, like copyright infringement, Right of Publicity is also subject to First Amendment defenses. Similar to Fair Use under copyright law, which focuses on the transformative aspects of a work, an alleged violation of Right of Publicity may also be defended as being transformative. This is because “when a work contains significant transformative elements, it is not only especially worthy of First Amendment protection, but it is also less likely to interfere with the economic interest protected by the right of publicity.” Ross v. Roberts, 222 Cal. App. 4th 677, 685 (2013). Overall, Right of Publicity can be an effective claim in some states for individuals to utilize when their name or likeness has been used for commercial purposes without authorization. While similar to Copyright Infringement, it is a claim that needs to stand on its own two feet to avoid preemption. If you believe that your Right of Publicity has been violated or have been accused of violating another’s Right of Publicity, Traverse Legal is here to help navigate your options. Contact us for assistance today!